An application for leave to appeal against paralympian Oscar Pistorius's culpable homicide conviction and sentence would be heard in the High Court in Pretoria in December, the NPA said on Monday. "The aforesaid matter will be heard at the North Gauteng High court on the 9th of December 2014," National Prosecuting Authority (NPA) spokesman Nathi Mncube said in a statement. "Further, it confirms receipt of a notice from the defense to the effect that they will be opposing the application by the State." On Friday, the NPA announced that it had filed an application for leave to appeal against Pistorius's conviction and sentence. 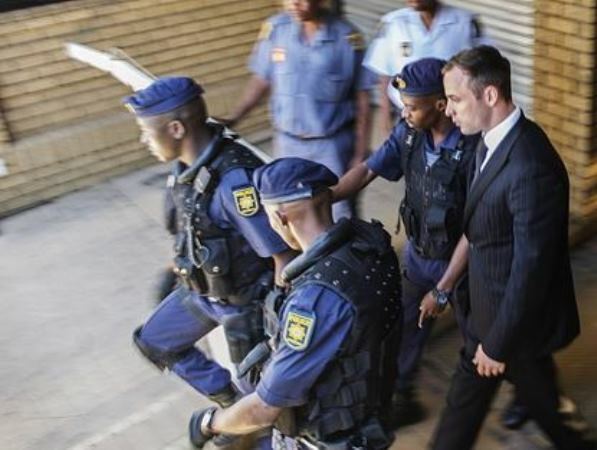 Pistorius was jailed for five years for the culpable homicide killing of his girlfriend, law graduate and model Reeva Steenkamp. He shot her dead through the locked toilet door at his Pretoria home on February 14 last year. In court papers the State described the sentence as "shockingly light and inappropriate". For discharging a firearm at Tasha's restaurant in Sandton, Johannesburg, in January 2013, he was sentenced to three years in jail, suspended for five years. Mncube said the appeal against Pistorius's conviction was based on a "question of law". "In addition, the NPA is of the view that it is of critical importance to seek clarity from the Supreme Court of Appeal on the principle of dolus eventualis," he said.